Highways England is seeking bidders for up to 14 places on a construction works framework for its East region worth up to £340m. The Government-owned company has published the contract notice for the framework, which is one of three for the region formerly known as Areas 6 and 8 under its asset delivery model. Last year Highways England announced a 15-year maintenance and response contract for the region worth £490m. The length of the new framework is 54 months, which includes a six month mobilisation period with an estimated total value of £340m. The notice states that the envisaged maximum number of participants to the framework agreement is 14. ‘Construction Works Framework (CWF) will be made up of a number of different contractors from different specialist areas who will work together to deliver network improvement and maintenance schemes within the East Region.’ It adds: ‘Highways England may also use this framework to deliver works in any other HE operational area as a contingent measure,' the notice states. The framework is divided into eight lots with any one tenderer permitted to bid for a maximum of three lots. The procurement is taking place under a ‘restricted procedure’. 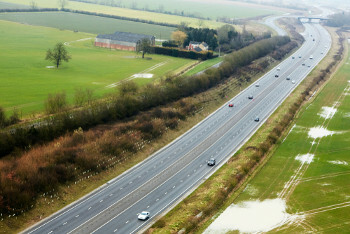 The notice states that Highways England ‘reserves the right to use a reverse auction’. Invitations to tender or to participate are expected to be sent to selected candidates on 4 March.